This is the new website for Otto’s Armoury. Let it be said up front that I am working to fill all old orders from the past while doing current work. No one will be forgotten. 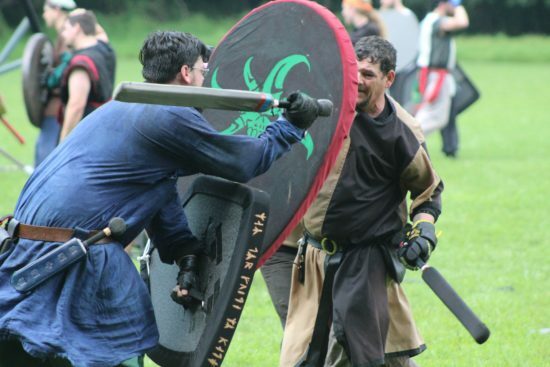 Basically, I offer mostly simple SCA heavy fighting oriented armour… though my gorgets are also used extensively by the fencing community in SCA. Most of the pictures here show past examples of items I have done and still do for folks. The items shown are in their basic, unmodified state. I will do brass work and such as desired by the customer for an additional fee. I prefer to have at least e-mail contact with customers when they are ordering so that I can answer questions and make sure to get sizes right. Prices shown do not include cost of shipping. I look that up for folks on a per order basis. Payment methods normally used are Paypal (to a different e-mail address) for credit and debit cards or by money order through the mail.